Common Sense For Belmar › Will Their Dunes Hold? This was written by admin. Posted on Tuesday, November 6, 2018, at 6:24 am. Filed under Uncategorized. Bookmark the permalink. Follow comments here with the RSS feed. Post a comment or leave a trackback. I think the question is : will the dunces hold? Will they hold on to power even after showing time and time again that they are willing to lie in order to hang on to that power? Will Belmar vote for a couple of individuals that enabled a career politician to use this town as a means to enrich his family? Will we allow this current mayor to continue to blindly fumble through a job for which he is clearly unfit? This is it Belmar. We have a chance to set the wheels in motion to finally rid ourselves of the arrogance and the lies, to let go of a business administrator who has been like a criminal that’s been able to stick around the scene of the crime, to restore the power back to the people, to stop allowing the powerful doners to dictate public policy. Today is the day. Let’s show them that WE have the power. Good morning. After all the rhetoric today is the day we can decide our future. We know what the present administration is like. They rubber stamped everything the corrupt previous mayor has done to our town. Lawsuit after lawsuit, Meri Makers, Marina Grill, overdevelopment, I can go on and on. The rude, unprofessional BA Colleen Connolly has to go. Today we can make a change and get back to the friendly town we used to be where we all got along. I will be voting for Walsifer, Wann and Mccracken as well as all of my family and friends. I hope you will too! #1-From you lips to GOD’S ear I hope the residents of Belmar see the current administration for what they are! They have needed to go for a long time and we know that Walsifer, Wann & McCracken can do better for this town. 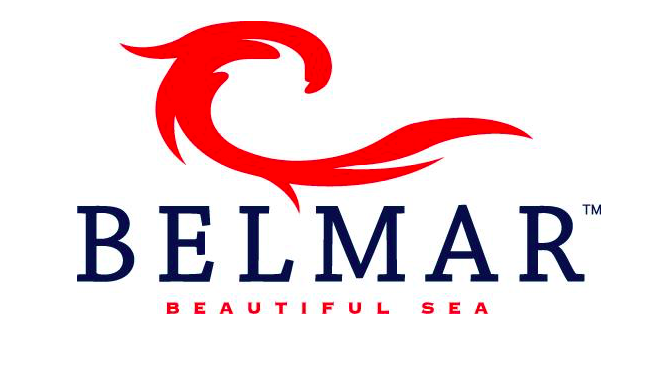 Ride the Red Wave for a better Belmar!!! Dave’s Red Wave is a stroke of genius. I love this logo. Will print name tags now. Well today I voted Republican for the first time in my life. I think that says a lot about the destruction the current administration has caused. #7.. If Walsifer-Wann-MacCracken are elected, how about printing up T shirts with the Red Wave logo? They will sell like hotcakes. I’m ready to order. Another registered Democrat who voted for Walsifer. There are 5 of us in the extended family who used to vote dem in every local election. Magovern and Brennan both said they were independent voices, but proved otherwise. (Nicolay never said she’d be her own person). Their narcissistic submission to Matt is their undoing. Sorry guys but I gotta vote Walsifer. It’s for Belmar. One of my wonderful readers did the logo the way I should have been able to do it originally. Great improvement! Thanks wonderful reader! Word on the street is the polls are fixed in favor of the Dems…..voter fraud, people voting twice, unregistered voters…. Market the RED WAVE starting tonight. Word is MONMOUTH COUNTY BOARD OF ELECTION out in full force in Belmar. Provision ballots by the dozens, lines. Parking Cone Man signage needs magnification for 20/10 vision. Word is McGovern is prancing around the polling places crying error. Whatever that means. Was former Mayor invited or even present at any Campaign appearances? It’s like he disappeared. #16- You haven’t seen Matt because he has something he hasn’t had in almost 8 years, a job. -#15 Saw McGoverm handing out snacks to the volunteers inside polling station. How that’s not against the rules I’ll never know. So some undecided voter walks in and sees him handing out treats and chatting it up and they think, hmmm maybe I’ll vote for him. I say foul. Due to Belmar’s shenanigans in past elections, YES, we do have quite a reputation with the Monmouth County BOE. They will definitely be paying attention to this one.